Football bets in matched betting is the most common sport you will be betting on along with horse racing so it is important to know how to best place bets on football games to ensure you are successful with football matched betting. Football betting in matched betting is not just betting on standard football games like Manchester United to win for example. You can place accumulators, dutching bets (on over/under markets) so football betting isn’t as simple as just placing straight win bets in the win draw win markets. Accumulators are the most complicated type of bets to do on football in the matched betting space. In this football matched betting tips article I aim to provide tips on how to get on horse racing bets quickly and safely. Ensure you know the full terms of the offer you are about to take part in. This is important across all types of bets whether it be a standard win in the 1X2 market or an accumulator. Accumulator bets generally have more terms you need to be aware of than a normal 1X2 bet. So before you even begin to consider placing the “place bet” button, ensure you know all the terms and conditions that are relevant to the bet you are about to place. This information is highlighted on Oddsmonkey and they make it clear what to look out for which makes my life that bit easier when it comes to placing football bets in matched betting. Ensure that when you are doing matched betting with football bets, that you back and lay the same football team. So if login to William Hill and back Manchester United to win, I must lay Manchester United when I login to Smarkets. If you are rushing your bets, it can be easy to lose concentration and end up backing Manchester United to win and end up laying Chelsea to win. If you do these kinds of mistakes it can detrimental to your matched betting profits so concentrate on what you are doing and if you are ever unsure of what to do, just don’t place any bets and re-watch some tutorial information. If you get an offer to do a bet in-play on football games, ensure you do these at half-time. Doing these bets at the half-time interval is the best time to do in-play bets on football games because this is when the odds become more stable and it is also classed as in-play so you will qualify for the offers by doing them during the half-time break. This will give you 15 minutes usually to place your back bet at the bookmakers and your lay bet at the exchange. If you try and place a bet while the football game is still been played, you will find the odds are volatile (similar to the horse racing markets) and you will be taking more risk by placing them during the actual game. Imagine you have backed Manchester United to win in-play and a few seconds after placing the bet, Chelsea go ahead and score to make the score 0-1. When you come to lay Manchester United now, the lay odds are going to be much bigger than they were and you could end up making a loss or a much lower profit from a free bet. When placing bets in-play always stick to the half-time interval. When using the accafinder tool on Oddsmonkey, ensure the profit you make will be a minimum of £5.00 to a £25.00 stake on the bookmakers. This will ensure that if the odds drift (increase) you will not make a loss overall; it will only result in a lower profit which is much better than making a loss on your accumulator bets. If you go ahead and place an accumulator with expected profit of £2.50, if the odds drift, you could end up making a loss overall on your accumulator which isn’t why we are all doing matched betting to make losses. We are all here to make a profit and you need to be prepared for the worst and this is all part of what makes a successful matched bettor; preparing for the worst possible scenario. Matched betting is risk free and the only real risk is human error so be sure you are concentrating at all times when placing back and lay bets and your risk will be significantly reduced. I would rather make £2.50 on accumulator than lose £2.50 all day long. When doing your matched betting bets on football, be sure you are entering the correct information into the matched betting calculator on Oddsmonkey. This will ensure you are laying the correct amount of money on the selection and doing matched betting the correct and safe way. Football betting is the most common sport to be placing bets on in the matched betting world. This is because football is very popular and many bookmakers will give their customers an incentive to bet on football games. It could be accumulators or normal free bet promotions; knowing what to do in all betting types is important to ensure you can make the most amount of profit across all types of bets. This article aims to give you an insight to my own experience of placing thousands of bets on football markets and what to look out for and some common pitfalls. Football betting is a lot less volatile in terms of odds movements than horse racing but there are still risks and you must concentrate on what you are doing at all times. If you are new to matched betting, then placing football bets to begin with is probably your best option and worry about placing bets on horse racing later down your matched betting career. 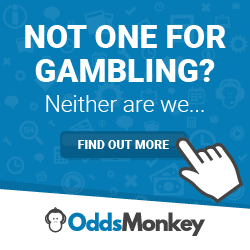 I would also recommend joining a service like Oddsmonkey as they have all the tutorial videos and information you will need to begin placing bets in football matched betting. If you are interested in reading in more detail, try my Oddsmonkey review and Smarkets review today.